Bahloul (founder) is a poet, writer, musician and performance artist. He was born in Lattakia, Syria, in 1983, and currently lives in America. He published his first poetry collection in Arabic in 2008: فتّاحة الأمل المعلّب (The Opener of Canned Hope). His second collection was released in 2017 طيور تدخن الماريوانا (Birds Smoking Marijuana) at Al-Moutawasset publishing; Milano, Italy. His first English book of poetry (The Chronicler of Indifference) will be released in Spring 2019 in the US by Červená Barva Press. His poems appeared in American poetry magazines including Nixes Mate Review, and Cathexis Northwest Press. As a musician he has initiated various projects in the U.S. that explored unique fusion of Arabic and world music. His ta’sheeq theatrical performance "exit the echo chamber" was premiered in Boston and NYC in the fall of 2018. 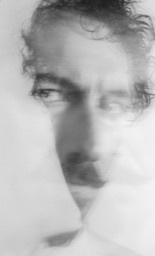 The performance merged Bahloul's original poetry with cello and electronic music and video art. Firas Sulaiman is a Syrian poet with multiple publications in Arabic including six volumes of poetry and a collection forthcoming in English translation. He has also published a collection of short stories, experimental fiction, a book of aphorisms and numerous articles, in addition to appearing in several anthologies. His work has appeared in English in Banipal, The Wolf, The Manhattan Review, 22 Magazine and Washington Square. In addition, his work has been translated into French, Romanian, Spanish, Swedish and Croatian. He currently lives with his wife in New York City. Lukman Ahmad is a Kurdish artist from Syria. He began his art career in 1986. After moving to the US in 2010, he has joined several American art groups with his artworks. In his painting process, Lukman utilizes water, oil, acrylic colors, and pastel. With more than 45 exhibitions in many countries including Syria, Turkey, Iraqi Kurdistan, Switzerland, Lebanon and United states, Lukman continues to succeed in representing his artworks. Tammam Azzam is a Syrian artist. Tammam was born in Damascus, Syria in 1980, and received his artistic training from the Faculty of Fine Arts, University of Damascus with a concentration in oil painting. Following the start of the uprising in Syria, Azzam turned to digital media and graphic art to create visual composites of the conflict that resonated with international viewers. In recent years, Azzam has participated in solo, group, and large-scale international exhibitions. In 2016, Azzam received an artist fellowship at the Hanse- Wissenschaftskolleg Institute for Advanced Study in Delmonhost, Germany. 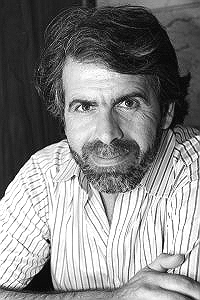 Fadi Saad is a Syrian writer and physician. He moved to the United States in 2000, and lives now in Detroit. He has published three collections of poetry, “Madina Sajina” (2005; A jailed city), “yaqtà al-layl bilsikyn” (2009; He cuts the night with a knife), and “Hayat moujarada min ibtisama” (2015; A life without a smile). He is one of the co-founding members of “Jozoor” (2005-2010), a cultural organization interested in promoting Arabic literature in exile. His poetry and essays have appeared widely in major Arabic literary publications. 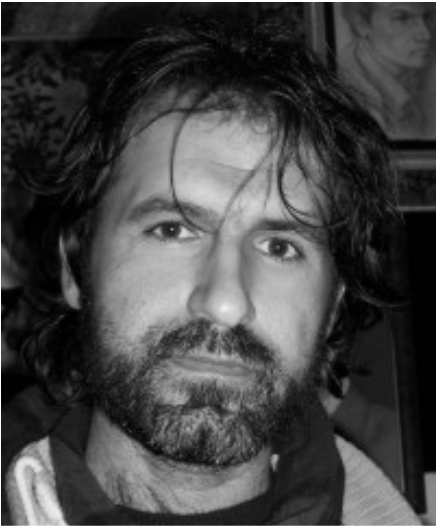 He is working now on a short story collection themed after the Syrian revolution. Akram Alkatreb is a poet, journalist and writer born in Salamiah, an ancient city near Hama. Salamiah is known as the "city of poets" because in almost every household there lives a poet or two. Alkatreb wrote his first poem when he was fourteen. He has worked as an art critic and journalist since 1996, contributing to major Middle Eastern publications. He has written for many major Arabic-speaking newspapers in Lebanon , Lonodon and Syria, including As-Safir - Al-Hayat, Almustaqbal, An-Nahar and Al-Quds al Arabi. He is a leading figure in what critics have called the “new wave” of Syrian poetry. Alkatreb has been living in United States since 2001. Khalil Younes is a visual artist and a writer recognized for challenging social norms and the desensitization of society. Born in Damascus, Syria in 1983, he studied experimental film and video at the Massachusetts College of Art and Design of Boston in 2008 and received his BFA in cinematography from Columbia College of Chicago in 2010. Khalil’s art pieces are showcased in both private and public art collections in the US and Europe, and his illustrations have been featured in manyrenowned magazines and newspapers such as the Le Monde and Natural History Magazine. Two of his pieces were also acquired by the British National Museum in London. Janset Ali was born in Damascus, Syria. She graduated from the University of Damascus with a degree in psychology and she currently works in the area of early childhood development and education. Her collection of poems is entitled 'Stumbling Upon the River'. Her most recent poetry collection is in press. 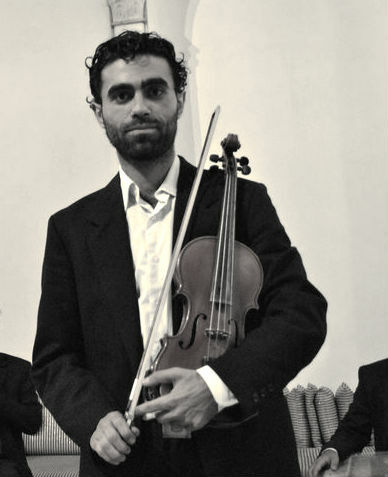 Samer Ali is a Syrian musician and violin player. Samer was born in Jableh in 1985. Founder of 'Takht Al-Nagham', a traditional Arabic music ensemble based in NYC. He also performs with Alwan Arab music ensemble, Orchestra of the Bronx and The National Arab Orchestra. He began studying western classical violin at the age of eight and later pursued intensive conservatory studies with Ali Mukhtar Babayev. Samer had co-founded the (Awj) Arab music ensemble in Damascus, Syria in 2007, and performed with the (Ugarit) Ensemble. Samer received his M.D. from Tishreen University, and currently a medical resident at Mount Sinai Hospital. 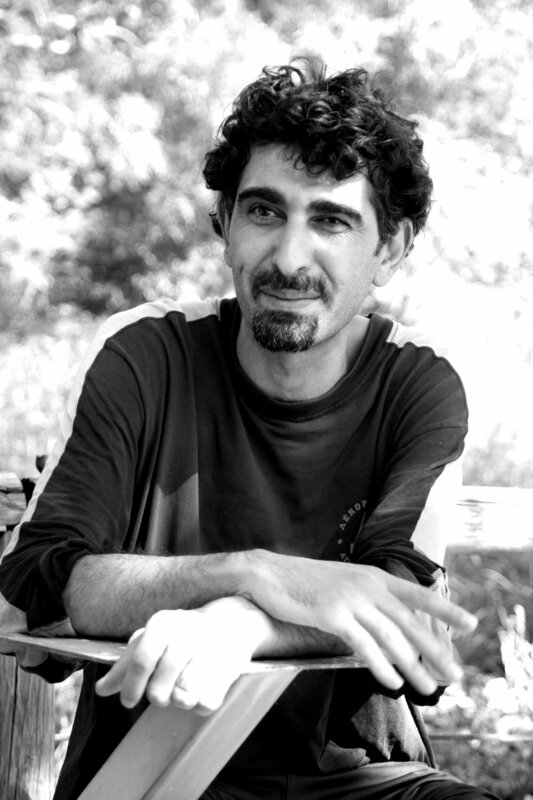 Osama Esber is a poet, short-story writer, publisher, and translator. He is a member of the editorial board of Fiker [Thought] and director of the publishing house Bidayat [Beginnings]. Currently, he is the editor of the Arabic section of Tadween Publishing. His poetry collections include Screens of History (1994); The Accord of Waves (1995); Repeated Sunrise in Exile (2004); and Where He Doesn’t Live (2006). His short- story collections are entitled The Autobiography of Diamonds (1996); A Café for Committing Suicide (2000); and Rhythms of a Different Time (in progress). He has translated works by Richard Ford, Michael Ondaatje, Bertrand Russell, Tony Morrison, Nadine Gordimer, Noam Chomsky, Terry Eagleton, Alan Lightman, Gerda Lerner, and Raymond Carver to name a few. He has also translated into English works by major Arab poets published in prestigious US magazines. 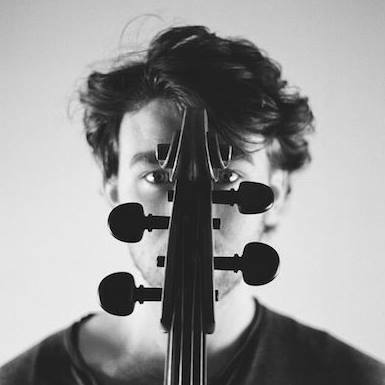 George Crotty is a crossover cellist hailing from Toronto, Canada. He traces his family lineage to fiddlers in County Clare, Ireland, and a family of Jewish musicians descended from Felix Mendelssohn. A recent graduate of the Berklee College of Music, Crotty aspires to forge a new linguistic path for the cello by integrating elements from Eastern, Celtic, and Jazz traditions. He has recently performed domestically and abroad with oud / violin virtuoso, Simon Shaheen, American fiddle guru, Darol Anger. and Cuban saxophonist Paquito D'Rivera. He currently resides in New York City. George is currently a member of the Canadian Arabic Orchestra, and New York's experimental quintet, 2Birds Band. An active session player, he has also stepped into the role of producer, releasing 2Birds Band's String Groover, and Vidi Aquam, a collaboration with Canadian cellist, Kirk Starkey. Kevork Mourad was born in 1970 in Kamechli, a town in the upper reaches of Syria. Of Armenian origin, he received his MFA from the Yerevan Institute of Fine Arts in Armenia, and he now lives and works in New York. With his technique of spontaneous painting, where he shares the stage with musicians—a collaboration in which art and music develop in counterpoint to each other—he has worked with many world class musicians. He is a member, as a visual artist, of Yo-Yo Ma’s Silk Road Ensemble. He has performed in many national and international contemporary art museums. Tareq Rantisi - world Percussionist. Born 1984, in Jerusalem, Palestine. Tareq started his career playing Middle Eastern percussion at age 12 and as a young self-taught musician had already shared the stage with some of the most distinguished musicians in the region. In 2008, Tareq received the Al-Qattan Foundation Music Scholarship to attend Berklee College of Music in Boston, receiving a degree in Percussion Performance. Tareq’s studies brought him into a deep dialogue with many styles of music including jazz, Afro-Cuban, Carnatic Indian, and Brazilian. 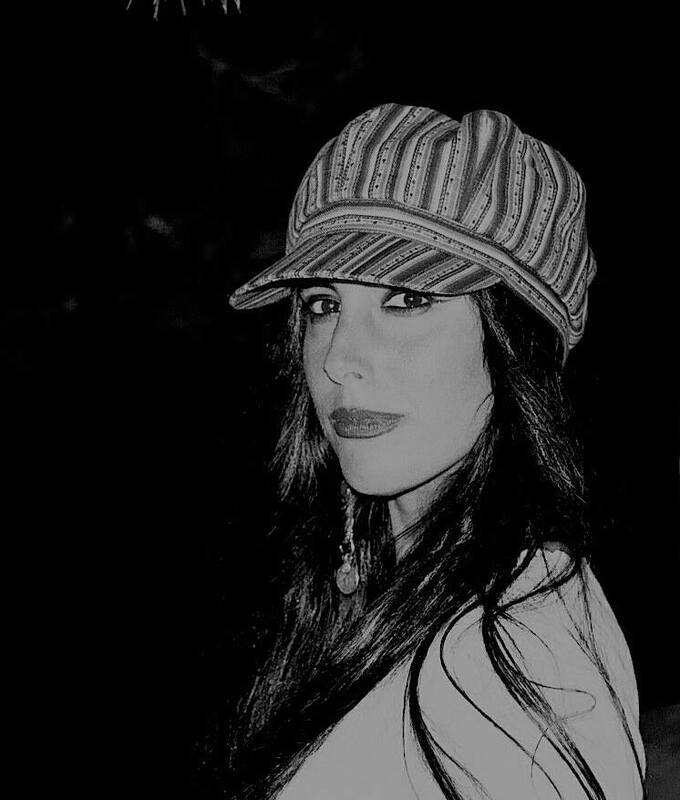 Samantha Kostmayer Sulaiman is a writer, editor and translator from New York City. She graduated from Columbia University, CUNY and the American University in Cairo with degrees in history, forced migration and law. Her translations have appeared in The Wolf, The Manhattan Review, Washington Square, and various anthologies. Her writing has appeared in English and Croatian. 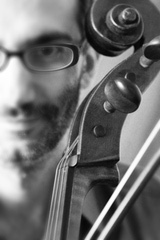 A cellist, oud player, composer, and recipient of the prestigious Pew Fellowship in 2013. The Syrian-born musician began his musical studies at the age of seven studying at the Arabic Institute of Music in Damascus, where he eventually joined the National Syrian Symphony Orchestra and performed with the Middle Eastern Ensemble. He holds a Bachelor’s Degrees in cello and oud performance from the Higher Institute of Music where he Studied the cello repertoire with Rasi Abdullaiev and Valery Volkov, and a Master’s Degree in Cello Performance from DePaul University School of Music where he studied with Stephen Balderston. Manar Shabouk is a Syrian poet and storyteller, born in Aleppo, Syria, in 1982. She received her M.A. in Linguistics in 2009 at the University of South Carolina, where she is now a Ph.D. candidate in Comparative Literature. She is currently a lecturer of Arabic Language and Literature at Syracuse University. Manar’s poetry has been published in Arabic journals, but a planned first collection, "The Cotton Woman" (2011), has not yet been published, out of respect for the lives and loves affected in Syria during the Revolution. Her first Arabic book رسائلي إلى حلب (My Letters to Aleppo) will be published soon.